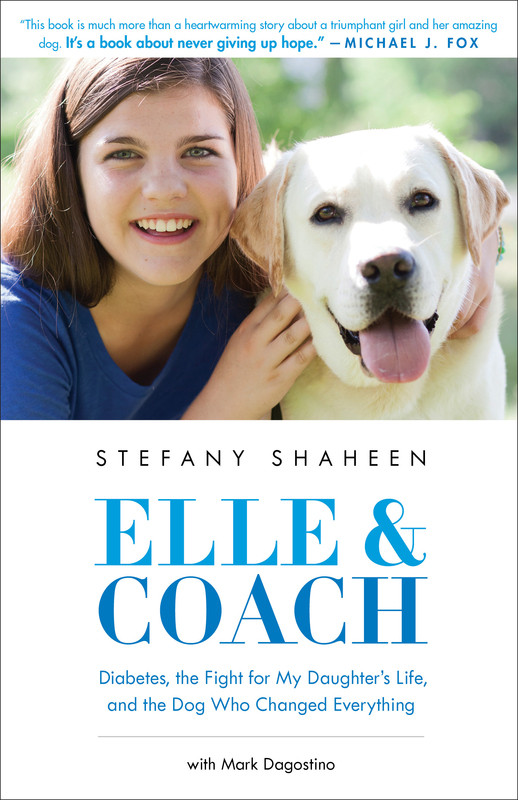 “Elle & Coach,” by Stefany Shaheen with Mark Dagostino. Hachette Books, $27. Educational and engaging, this emotionally powerful read travels the slippery slope of a family in near chaos to one that slowly transitions to confidence and control. The authors frame young Elle’s odyssey from her original Type 1 diabetes diagnosis in November 2007 through her high-school days years later with Coach, a yellow Labrador retriever diabetes alert dog alongside 24/7, with an empowering feel. Throughout, Elle’s ability to cope with this challenging disorder is built around Team Shaheen’s all-around, long-term support. Many of us live in households with diabetes patients. I do, but I was not aware that Type 1 Diabetes is an autoimmune disease with no cure. Hence, it is a major life changer not only for the patient but everyone around him/her. And that’s what this moving story of true grit is all about. For some unknown reason, Elle’s immune system began wiping out her insulin-producing cells – and they were gone forever. This meant Elle, 8 at the time, would require insulin injections the remainder of her life to survive. “Essentially,” the authors write, “we would have to play the part of Elle’s pancreas.” Add to that she or another family member or nurse would prick her finger with a needle eight to 10 times daily and during the night to test her blood sugar. The tone here is not tear-jerking but one of tough realism colorfully capturing the family’s fight against the disease and becoming proponents of research to eventually eradicate it. The Shaheen family is politically active and well-connected. Elle’s grandmother is a U.S. senator from New Hampshire and former New Hampshire governor and her mother, toward the narrative’s end, is elected a city councilor in Portsmouth, N.H., where the family of six resides. Through the authors you feel like you’re accompanying Elle into Boston Children’s Hospital on many occasions, following behind her in school and joining her to summer camp as she matures and becomes a respected spokesperson for Type 1 Diabetes locally and nationally. Type 1 Diabetes and Elle’s welfare basically rule this family’s life 24/7 for years with no relief in sight until mom and daughter begin hearing about the potential of seizure-alert dogs. At the outset, mom is a bit of a doubter for what they might offer Elle—and the family. These dogs alert the diabetic and/or others in the immediate area when the individual’s blood sugar level reaches dangerous levels—either high or low. Don’t expect to meet Coach right away, however. He doesn’t come on the scene until midway through the book. Eventually, they become convinced that it is worth a try. Shaheen reaches out to a Kansas training facility and learns a fully trained dog comes with a price tag of $2,500 and a two-year wait. Finally, the phone call comes—and Elle’s dog is ready. She and her father, Craig, travel to Kansas for a week-long (although their trip was abbreviated) meet-and-greet training period with Coach. Coach segues smoothly into the household and proves his worth quickly with continued alerts 24/7 that were previously the responsibility of Elle’s mother. “Coach wasn’t just keeping Elle safe to give us some relief. He was empowering her with the independence she’d need in order to become a healthy adult,” the authors emphasize. Although Coach is a full-fledged service dog there are numerous social challenges, too, particularly one involving a summer camp where Elle was enrolled BC (Before Coach) but not welcomed AC (After Coach), prompting the threat of legal action by her mother. “”You know, having Coach—it feels like the first time diabetes has given something back to my family instead of taking things away,” she replies. For Elle’s mom, Coach heals her heartbreak and serves up a modicum of freedom. In other words, he’s a life changer. This vibrant, detailed portrait is all about human struggles and triumphs and a dog that is a symbol of hope. It’s not a tear-jerker, rather a reflection of tough realism and continued challenge.